Iannis Xenakis was born in 1922 in Brăila (Romania) to Greek parents. He spent his student years in Athens, where he earned his diploma in civil engineering from the Athens Polytechnic. He fought in the Greek Resistance during World War II against the Germans, and then against the English occupation (Civil War). In 1947, after a terrible facial wound and a period of clandestinity, he fled to France as a political refugee. Over the next twelve years (1947-1959), he collaborated with Le Corbusier first as an engineer and later as an architect (Convent at La Tourette, Philips Pavilion at the 1958 Brussels World’s Fair — famous for its self-supporting hyperbolic paraboloids — and where Edgard Varèse's Poème électronique was premiered). He studied music with Olivier Messiaen but later decided to break free from this path and explore a more "abstract" conception of composition combining two elements: on the one hand, references borrowed from physics and mathematics; on the other, a plastic way to imagine new sound worlds. The scandals that his Metastaseis (1953-1954) and Pithoprakta (1955-1956) provoked, all while simultaneously and thoroughly renewing the realm of orchestral music, proved to him and to others that an alternative to serial composition could be conceived, thanks to notions such as mass events, probability, as well as the use of glissandi, sustained tones or new percussive elements. At the same time, he also began his first musique concrète experiments in which he opened the path, among others, to a granular approach of sound (Concret PH, 1958). His first book, Musiques Formelles (1963), exposed his scientific and mathematical approaches to composition, spanning as wide as probabilities (Pithoprakta, Achorripsis, 1956-1957), to group theory (Herma, 1960-1961), to game theory (Duel, 1959; Stratégie, 1962), as well as introducing the use of computers and algorithms (ST program and works, 1956-1962). During the sixties, his formalization evolved more and more towards a foundational theory of music (in the sense of the foundational crisis in mathematics), in particular with regards to his application of group theory (Nomos alpha, 1965-1966). On the other hand, Eonta (1963-1964) achieved a new model of sound in itself. The following decade was marked by the utopian surge of the Polytopes (Polytope de Montréal, 1967 ; Polytope de Persépolis, 1971 ; Polytope de Cluny, 1972-1974 ; Diatope, 1977-1978 ; Polytope de Mycènes, 1978), each pioneering a new technological multimedia art characterized by an immersive experience for the audience. With his use of “aborescences” (Erikhthon, 1974) and Brownian movement (Mikka, 1971), Xenakis revived the graphic approach that initially led him to design the glissandi in Metastaseis, the compositional method also used with his UPIC, the first graphic synthesizer on which he composed Mycenae Alpha (1978) and subsequent works. Beginning in the eighties, Xenakis’s compositional processes became increasingly more based on intuition. Although still characterized by energetic surges (Shaar, 1982, Rebonds, 1987-1988) or formal research (“sieves” — or non-octaviating scales — in almost all the pieces), or cellular automata (Horos, 1986), his music also became progressively darker (Kyania, 1990). His last works (Ergma, 1994, Sea-Change, 1997) evolve in a very uncluttered and unadorned universe of sound. His last work, composed in 1997, is named after the last letter of the Greek alphabet (O-Mega). 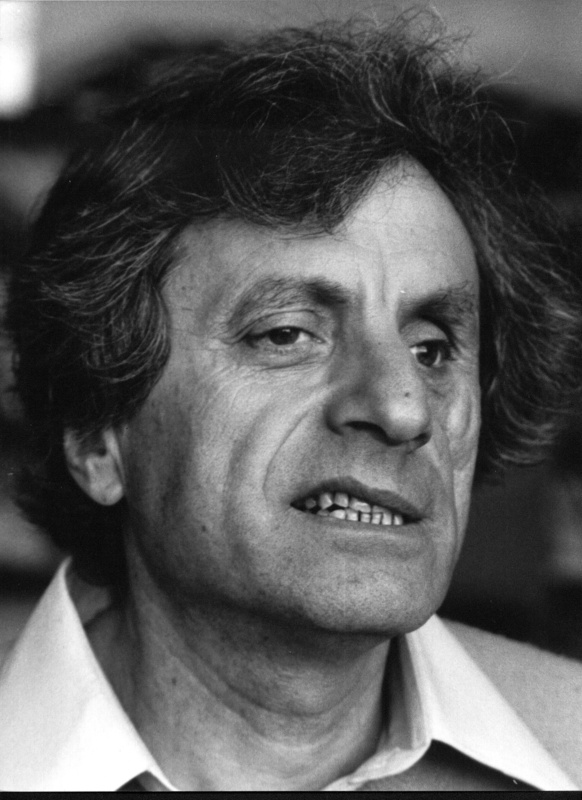 Xenakis died on February 4th, 2001 in Paris.